Product information "Fuse for various fuses incl. 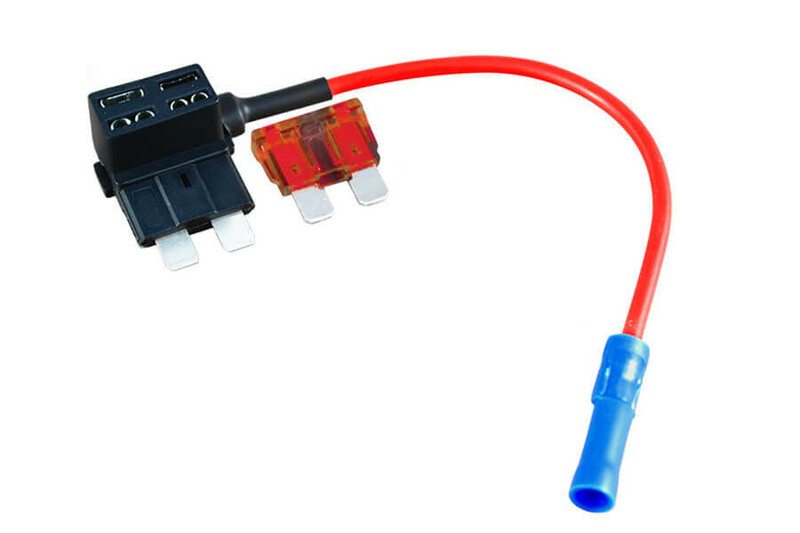 10 A fuse"
With this practical fuse tap you can directly fuse a signal separately from the fuse box. 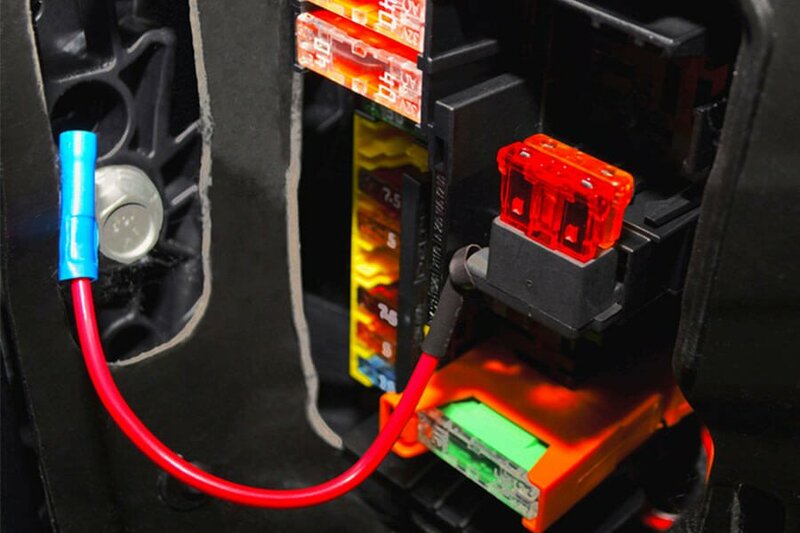 Simply remove the original fuse and insert the appropriate (XSA100, XSA200, XSA300 or XSA400) instead. 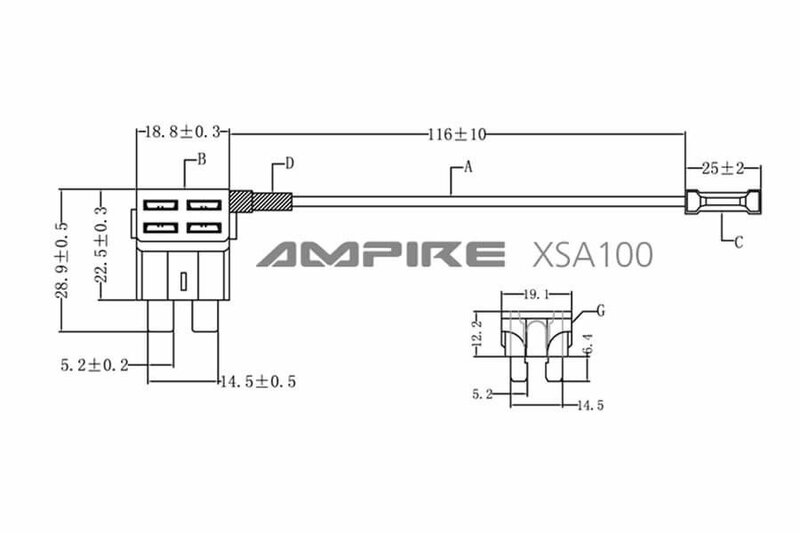 Reinsert the original fuse in the XSA and the desired tap is protected by a supplied 10 A fuse on a 4 mm round plug. SVHC: No SVHC substances present! Please ensure that the fuse holder is inserted in the correct direction. The fuse holder has an input and two outputs. Customer review for "Fuse for various fuses incl. 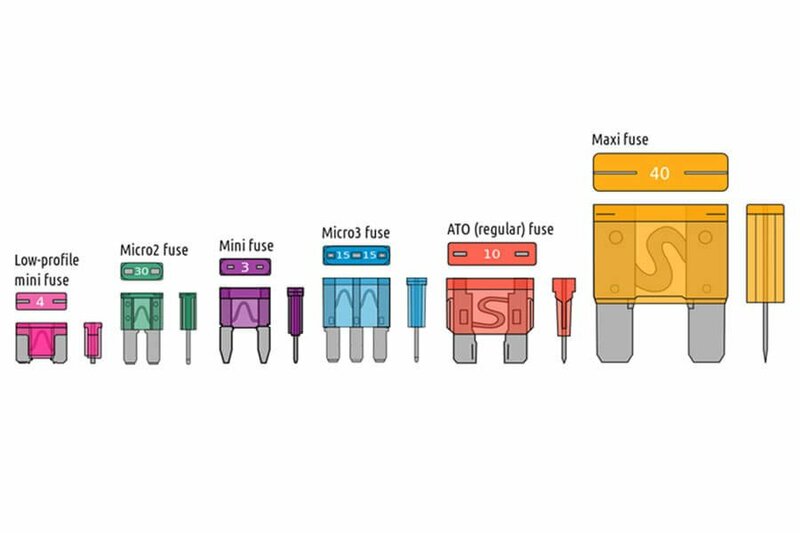 10 A fuse"
Properties: "Fuse for various fuses incl. 10 A fuse"